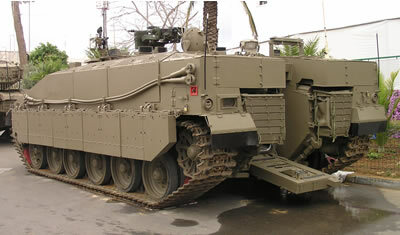 In July 2007 the Israel Defense Forces launched the Namer (Leopard in Hebrew) Armored Infantry Fighting Vehicle (AIFV) program, funding a pilot production of 15 of the tracked vehicles in 2008. 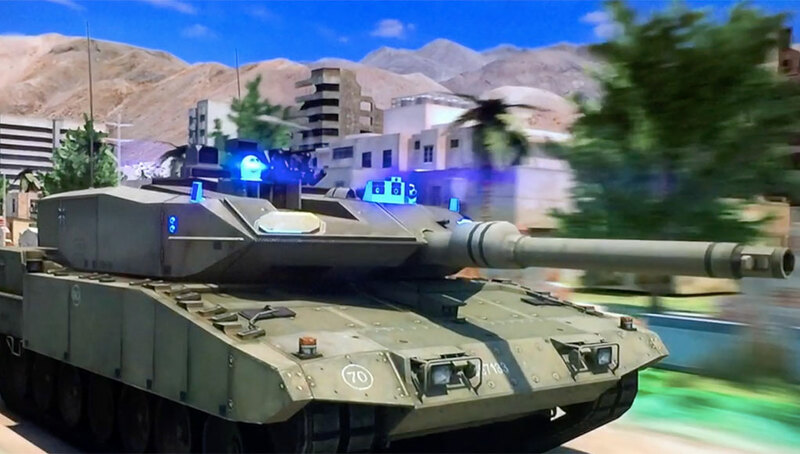 The program is a major element in the IDF land forces’ five-year modernization plan. Currently in formation the plan is expected to finalize this month. 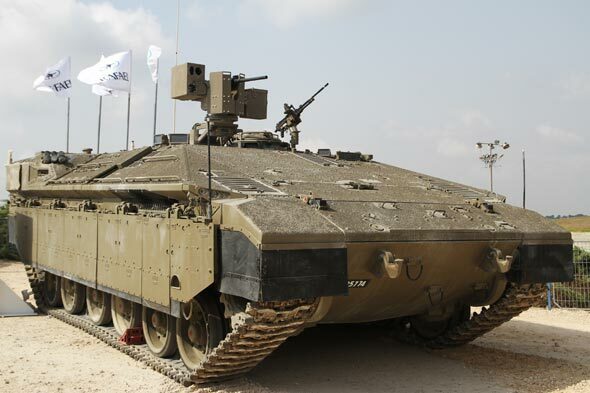 Eventually, the IDF plans to buy few hundreds AIFVs, providing the infantry with the level of protection and mobility matching those of the latest Merkava Mk 4 tanks. The IDF plans to equip its elite infantry brigades with the new Namer. Furthermore, procurement of wheeled armored vehicles such as the Stryker is considered for the lighter (paratroop) brigades. The currently operational Achzarit AIFVs will also be upgraded, receiving a more powerful engine and weapon station. 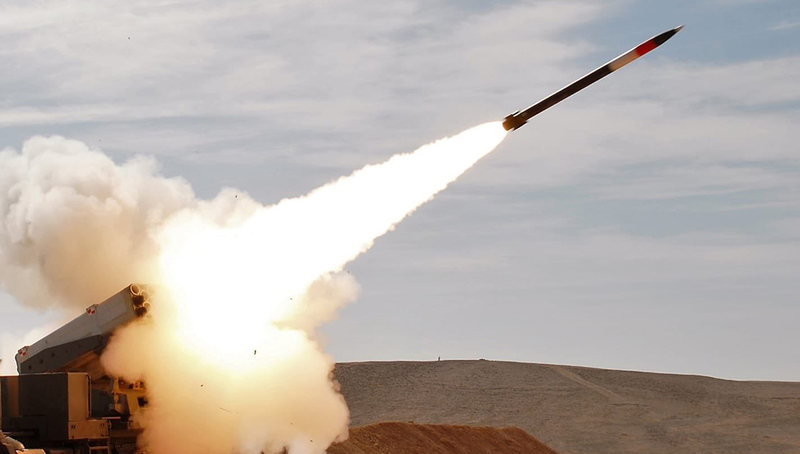 Some of the M-113s are expected to be retrofitted with improved armor and redeployed to lower intensity missions, particularly for counter-terror operations in urban warfare, where the relatively lightweight and small vehicle could prove quite effective. The IDF also plans to deploy more armored wheeled vehicles, including the Golan Mine Resistant Ambush Protected (MRAP) vehicle which was already selected for a similar program in the USA. 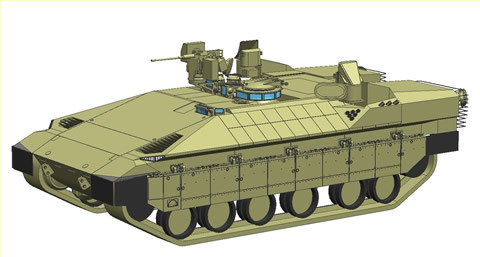 The latest design of the Namer AIFV based on the Merkava Mk 4 depicting sloped hybrid armor protecting the fighting compartment, remotely operated weapon station, multiple smoke canisters embedded into the armor and Trophy active protection modules covering both sides, with threat warning radar modules protecting the vehicle's four quadrants. 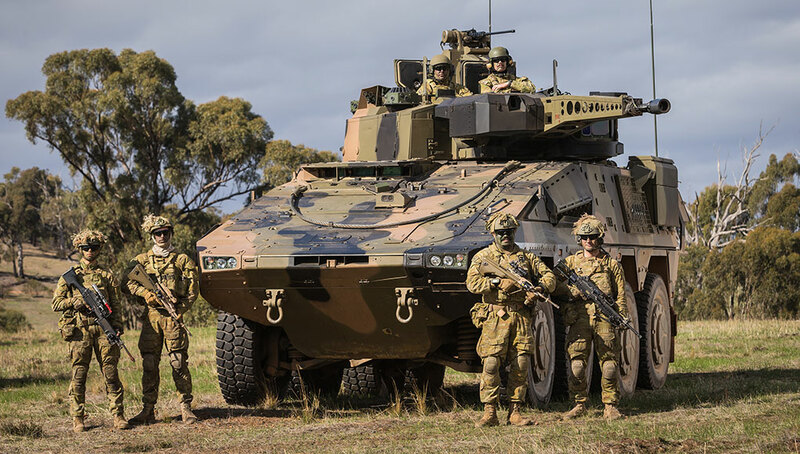 Several versions of the Namer are envisioned; two versions, configured as an armored infantry fighting vehicle (AIFV), Repair and Medical evacuation (MEDEVAC) will replace M-113 vehicles currently in service. 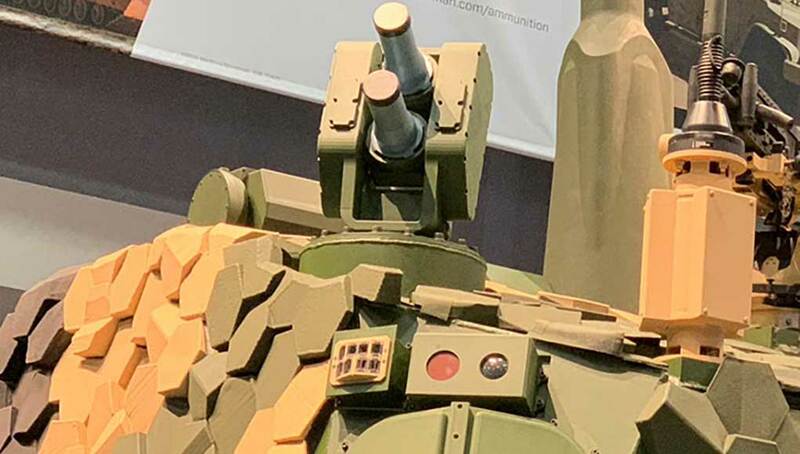 A weapons carrier armed with 30mm automatic cannon and missiles will provide a support base, utilizing new capabilities such as the 30mm automatic cannon. Such vehicles are expected to replace the anti-tank vehicles such as the M-113s and HMMWV currently employed with the anti-tank (TOW) units. 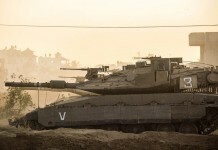 The IDF also plans to field a Namer as designed as an Armored Recovery Vehicle (ARV), supporting Merkava tank formations. 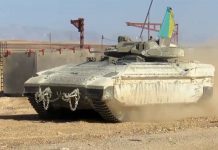 The Merkava based ARV will be able to tow a fully loaded Merkava tanks, augmenting or replacing the M88 ARVs and trucks. Currently being finalized, the design of the new troop carrier will be based on a turretless Merkava Mk4 tank chassis. Unlike previous suggestions to use obsolete Merkava Mk1 chassis for the new vehicle, the IDF opted for a more practical, cost effective production of new vehicles. However, the initial vehicles will utilize modernized and uprated AVDS 1790 engines taken from old Merkava Mk1 tank to support accelerate fielding. A final decision on the future powerplant will be made next year. The IDF is evaluating two engine makers – Continental Motors, the producer of the AVDS system or MTU, producer of 833 type engine, powering the Merkava Mk4 tank. Decision on other powertrain elements will determine which transmission will be procured from Allison and the type of final drive ordered from Renk. The selection will be followed with production orders sustaining future production lots. The cost of a fully equipped Namer is expected to be around $1.5 million. 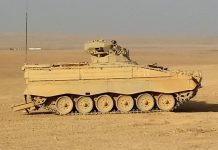 The final design will include an ergonomically designed driver’s compartment, similar to that of the Merkava tank, fitted with large vision blocks and electro-optical driver’s viewing devices enabling effective performance under all visibility conditions. At least four remotely controlled video cameras are used to provide the crew, driver and commander with unobstructed peripheral view. The Namer will become a fully networked armored fighting vehicle. 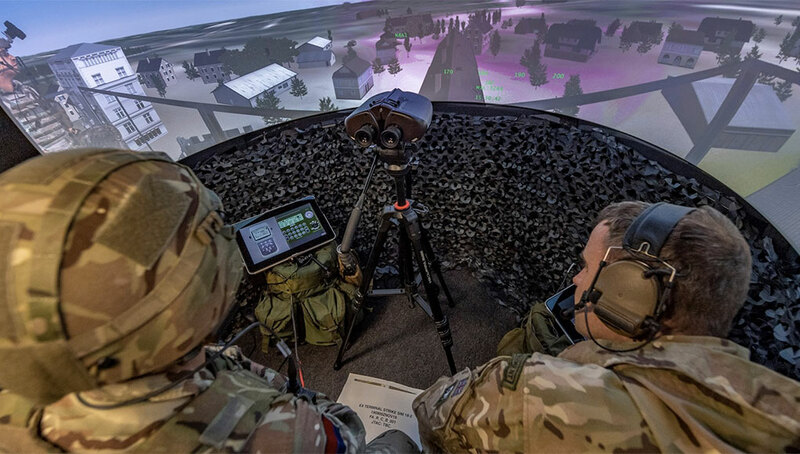 Part of its C4 equipment will be the new Battle Management System/Infantry, designed by Elbit Systems to support the dismounted ‘Integrated Advanced Soldier’ (IAS) system. Namer will be equipped with the same protection level available for the latest Merkava Mk4. 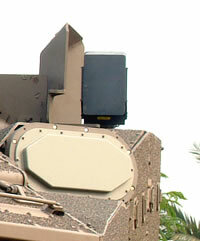 Its armor will include, for the first time, an active protection system as an integral element. The IDF hasn’t decided yet which APS will be installed on the vehicle. 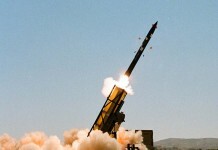 Both RAFAEL’s Trophy and IMI’s ‘Iron Fist’ are being evaluated and, in fact, the development of the Iron Fist was accelerated to have it ready for comparative testing around the year’s end, in time for a future decision for the Namer. IMI is also developing and will produce the advanced armor suite for the Namer. The advanced armor will provide maximum protection to the front, sides and roof. 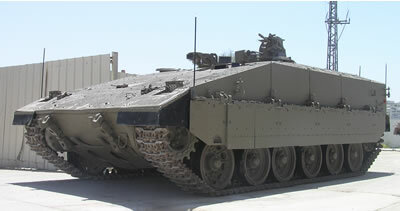 IMI is also providing the advanced armor protecting the Merkava Mk 4 tank. Internally, the seating arrangement enables good protection from blast effect, utilizing highly protected belly and ‘floating’ seats (not rigged to the floor). The vehicle is armed with RAFAEL’s Mini-Samson Remotely Controlled Weapon Station with multi-sensor target acquisition systems. The system mounts a 12.7mm M2HB heavy machine gun, 7.62mm M246 machine gun or M19 40mm automatic grenade launcher. 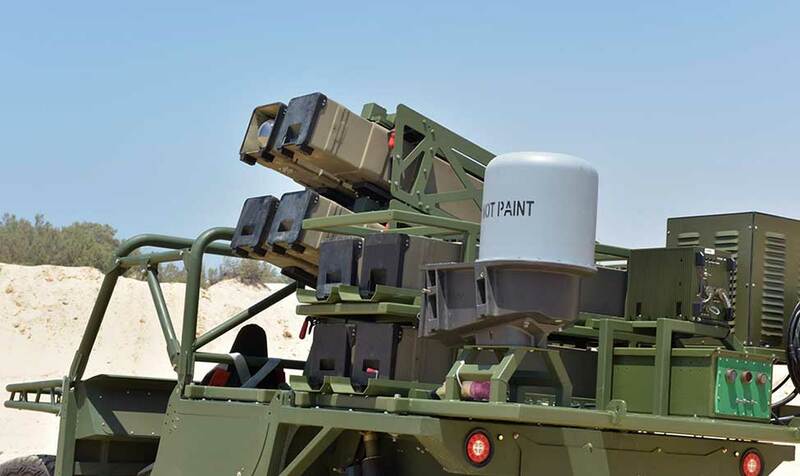 The IDF considers developing future multi-purpose support versions of the Namer, armed with the Samson weapon station, mounting much heavier 30mm automatic cannons as well as the Spike guided weapons. The current design of the Namer is already prepared for such installations, offering protected storage for weapons separated from the fighting compartment and strengthened roof able to carry the extra loads. The vehicle accommodates 11 soldiers, including commander and driver. It also has attachments for carrying stretchers. The Namer uses a slightly redesigned door/ramp, enabling more efficient offload of soldiers and equipment and handling of stretchers.